The entertainment company trades on the Hong Kong stock exchange and has seen its share price climb 145% in 2015. It was formerly known as ChinaVision Media Group Ltd. before Alibaba purchased it in June 2014. The money will be used to fund additional acquisitions for the entertainment company. It's part of Alibaba's larger vision of creating a global brand with influence in numerous industries. On Wednesday, Alibaba officials announced they're spending $200 million to acquire a 30% stake in China Business News, a financial television and newspaper company. The two companies are planning to develop financial data services that will use Alibaba's database of e-commerce statistics, The Journal reports. Alibaba also plans to incorporate stock quotes and investing information into its Alipay service. 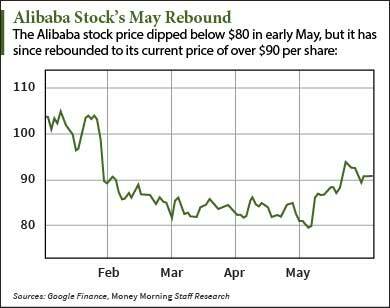 Alibaba has been on an acquisition spree since before its September 2014 IPO. Some of its biggest recent purchases have been $590 million on a minority stake in the Chinese smartphone maker Meizu and $1.9 billion on the mobile web developer UCWeb. And it's been buying in numerous industries. In June 2014, it spent $192 billion for a minority stake in a Chinese professional soccer team. "We want to be bigger than Wal-Mart," Alibaba Founder Jack Ma said the day of the IPO. "We hope in 15 years people say this is a company like Microsoft, IBM, Wal-Mart; they changed, shaped the world."